Whether You’re Sick of Fine Lines or Annoyed by Stretch Marks, a New Noninvasive Treatment Can Help You Enjoy Tighter, Smoother Skin. 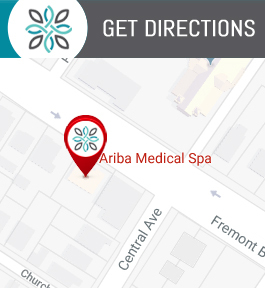 Contact Ariba Medspa Today to Make an Appointment. We are Conveniently Located at 37553 Fremont Blvd, Fremont, CA 94536. Whether you’re sick of fine lines or annoyed by stretch marks, a new noninvasive treatment can help you enjoy tighter, smoother skin. At Ariba Medical Spa in Fremont, California, Dr. Tariq Mirza utilizes Vivace Radiofrequency Microneedling to stimulate new skin growth and improve your complexion. Call today or book an appointment online to get back to loving your skin. How does Vivace skin tightening work? Vivace is a nonsurgical treatment that tightens and smooths skin. The procedure uses a combination of radiofrequency energy and microneedles to stimulate healing, which boosts the production of collagen and elastin. As more and more collagen is produced, your skin becomes tighter and smoother looking. Though Vivace has become a popular part of a “Mommy Makeover,” both men and women are taking advantage of this procedure to appear younger. It can be used on many areas of the body, including the face and abdomen. Vivace can also help boost the effectiveness of other cosmetic treatments by improving how well your skin can absorb peels, lotions, and other substances. Is Vivace right for me? What should I expect during Vivace treatment? Before your Vivace treatment, a trained technician will apply numbing cream to the area, resulting in little to no discomfort. Once you’re numb, they will use a specially designed wand to apply the treatment. You should not experience pain but may feel a light spark here and there during the procedure. The treatment lasts about 45 minutes, though your appointment may take up to an hour and a half total. What should I expect after Vivace treatment? You have no downtime after Vivace treatment, but you should avoid makeup and other beauty products for six hours after treatment. You may have some mild redness that goes away within a few hours. Your results will begin to appear a few days after your treatment. As your body produces more collagen over time, you’ll start to see improvements in your complexion over the following months. Dr. Mirza recommends three treatments, 4-6 weeks apart, for the best results. You may also schedule maintenance appointments to keep your results lasting longer. Enhance your natural beauty with Vivace RF Microneedling. Call or schedule your appointment online to enjoy tighter, smoother-looking skin.